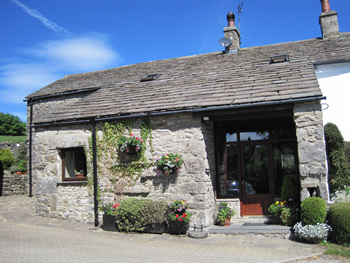 The Byres, Selside Farm, quality self-catering accommodation in the heart of the Yorkshire Dales Three Peaks. The cottage is furnished and equipped to a high standard throughout with exposed beams and open stone fire place. - Discount if only 2 people staying (available during school term time only). - 1 small well behaved dog is allowed when a maximum of 4 people are staying (school term time only). The Byres is set in the small hamlet of Selside, situated in the Yorkshire Dales National Park in the heart of the spectacular Three Peaks (Pen-y-ghent, Ingleborough and Whernside). The cottage is surrounded by many walks and close to the famous Settle-Carlisle Railway, with the stations of Horton-in-Ribblesdale and Ribblehead with its famous viaduct both only been 3 miles away. A regular train service runs on the line, ideal for trips to Carlise, Appleby, Leeds or York. During summer a weekly stream train service runs, which must be pre booked. The local area has excellent walking, cycling, caving and many tourist attractions. The Byres is an ideal base for walking and touring the Yorkshire Dales, Lake District, Howgill Fells, West Coast, Forest Of Bowland and further away the North Yorkshire Moors or just relaxing. The nearest Inns are only 3 miles away at Horton-in-Ribblesdale or Ribblehead. For provisions there are further shops in the towns of Settle, Ingleton and Hawes (supermarkets may also deliver to the property). 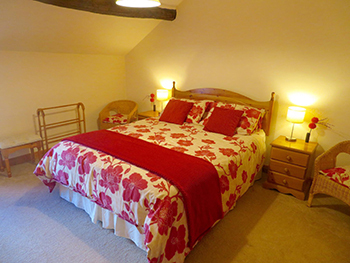 So why not come & stay in this 4 star holiday cottage ideally situated in wonderful surroundings with lots to see & do.